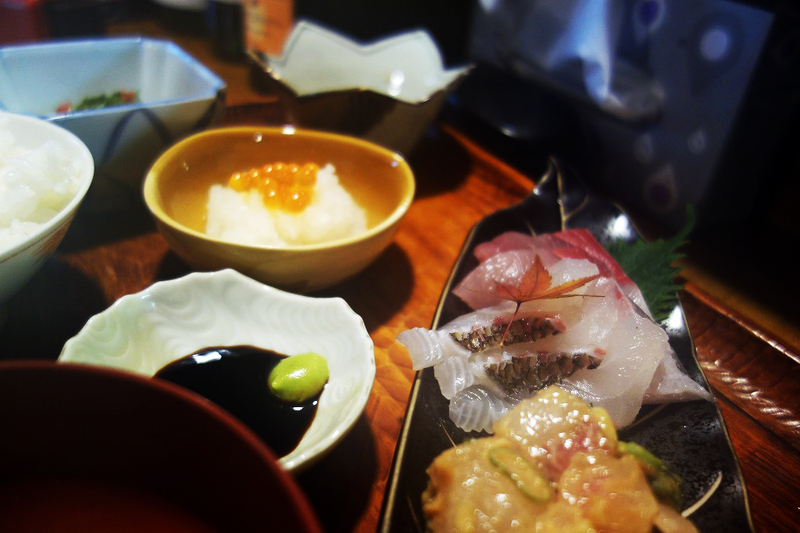 When you can not enter "TAIRYO", I think that you should go to "KITUNE - NO - BOTAN" in the neighborhood. "KITUNE-NO-BOTAN (きつねのぼたん)" is recommended near Ohmishima's "TAIRYO(大漁)"
Speaking of the most famous shops in the God of the Ohmishima , it must be "TAIRYO." 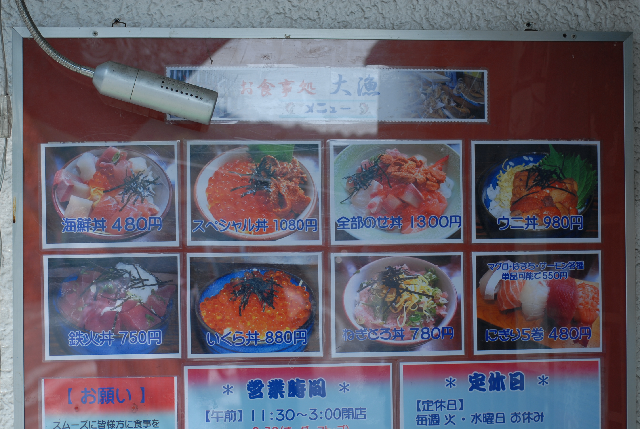 It is "480 yen seafood bowl" that made the big catch famous. This seafood bowl is reputed as "cheap and delicious"
It is always a large matrix. When I went there at 11 o'clock this reservation table was crowded. That's it, "I thought lunch was done with a big catch of Ohmishima ..."
It is that there is often not to put it in. It is a freshly opened shop of a young couple. However, the price is higher than the "TAIRYO". It definitely makes me eat delicious fish dishes lunch. I think that I do not have much publicity yet. "If you visit Ohyamazumi Shrine, you'd better get going to KITUNE - NO - BOTAN ." It is a shop that makes me eat delicious fish. Set menus of "Seafood Lunch Set"
"For the moment I would like to have lunch with this one book"
Because "it corresponds to a special menu if reservation can be obtained"
Special menu of "Shima-aji no NAMEROU-Don (Rice bowl with Miso based fish horse mackerel tartar)". As for the budget, "How about such a thing?" I think that I will propose. Message KITUNE-NO-BOTAN(きつねのぼたん) is name of flowers. Flower language is "a blessed life"
I stand in this place. Remember that gratitude feeling continues to deliver smiles to everyone. I am happy if you can comment.